(VMS) lenses containing high grade zinc, lead, and silver. to any price recovery that may occur. Low corporate overheads. Track record in capital-efficient funding. Argent Minerals Limited is an ASX listed public company focused on creating shareholder wealth through the discovery, extraction and marketing of precious and base metals. A key goal of the Company is to become a leading Australian polymetallic producer, mining 1.5 million tonnes per annum with a mine life of the order of 20 years, the success of which will also result in a significant contribution to federal, state, regional and local economies by way of employment, taxes, and royalties. The Company’s project assets are situated in the Lachlan Orogen in New South Wales, Australia, a richly mineralised geological terrane extending from northern NSW through Victoria and into Tasmania. 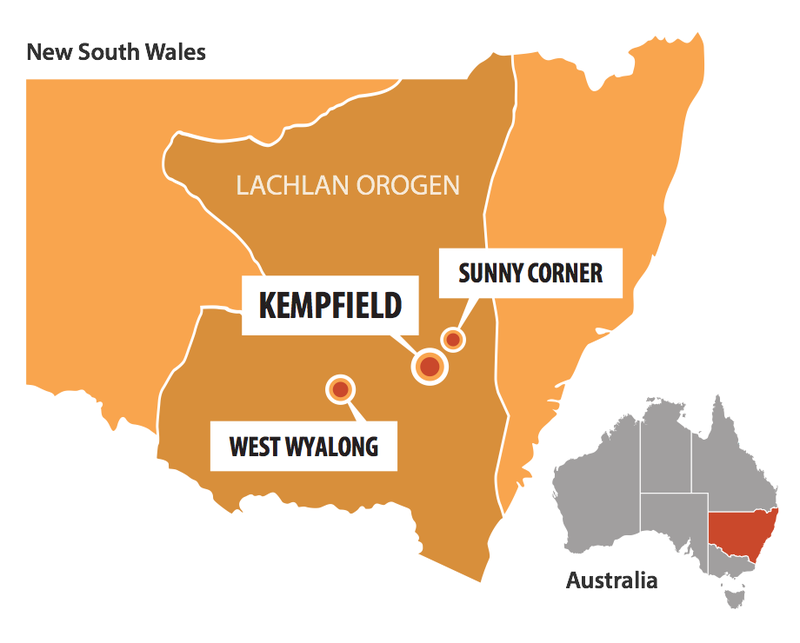 Argent Minerals’ three projects, in each of which the Company owns a controlling interest, is strategically positioned within a compelling neighbourhood that is home to Australia’s first discovery of gold, and today hosts world class deposits including one of the largest underground copper-gold mines in the southern hemisphere, Newcrest’s Cadia Valley Operations.